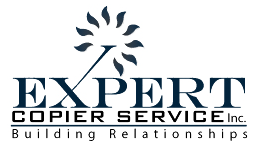 Welcome to Expert Copier Service, Inc.
With 30+ years of service experience, Expert Copier Service is ready to install, repair, and maintain your office equipment. Be sure to protect your purchase with either of our available solid service contracts. From desktop MFP's to the newest color copiers, Expert Copier Service carries a dependable selection of office equipment, toners and supplies Purchase your machine outright, or ask about our affordable rental program. Expert Copier Service stocks late model, low meter refurbished copy machines at unbeatable prices. The only machines we refurbish are the ones that have endured and surpassed our extensive and thorough quality tests. Expert Copier Service, Inc. with 30+ years of experience is a locally owned business specializing in the service and sales of office equipment including most makes and models of b&w and color copiers, as well as most fax machines and laser printers in use today. Our goal is to provide our customers, which include home offices, churches, nonprofit organizations, government agencies, small businesses and large corporations with the most cost efficient, timely, honest, and knowledgeable service available. 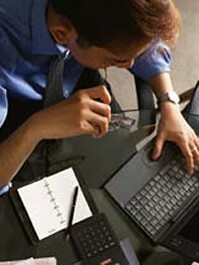 Expert Copier Service Inc. is located in West Chicago, Illinois. Our service area includes most of DuPage, Kane and Lake counties, as well as western Cook county. • Konica Minolta: Bizhub & DI series b&w and color machines. • Toshiba: estudio and other series b&w and color products. • Xerox: phaser, wc, pro, docuprint & other series. • Canon: Imageclass imagerunner IR IC, Imagepro color & b&w products. • Copystar: CS, M, & fs series MFP's & copiers. • Sharp: ar, arc, arm mxc, mxm, series of color & b&w copiers. • Gestetner: dsm, mp,mpc, sp series of b&w and color products. • Lanier: ld,lp, mp, pro, sp, series of b&w and color machines. • HP: most b&w and color laser printers copiers and mfp's. • Brother: most b&w and color office products. • Samsung: scx, clp, slm, ml, sf, multipress, b&w and color products. • Lexmark: optra and other b&w and color printers.